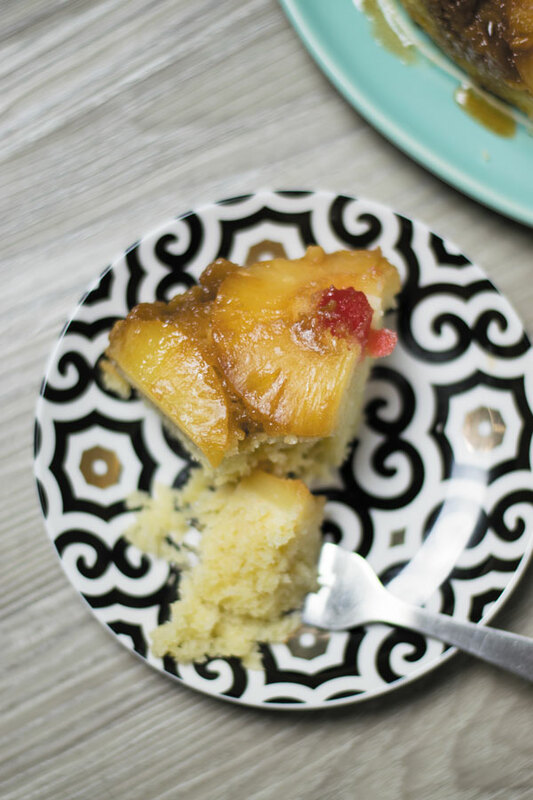 Deliciously Simple Pineapple Upside Down Cake made in under an hour. 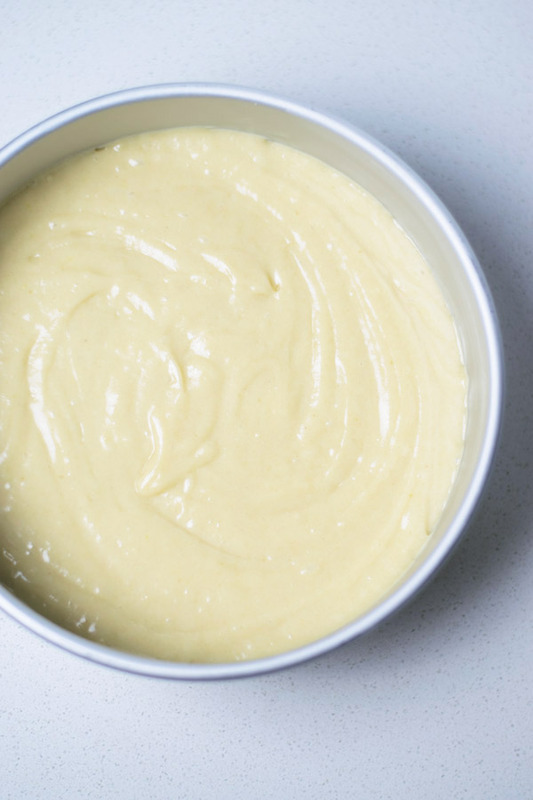 Moist Vanilla cake with juicy caramelised pineapples! It’s weekend friends and that always means a good homemade dessert. 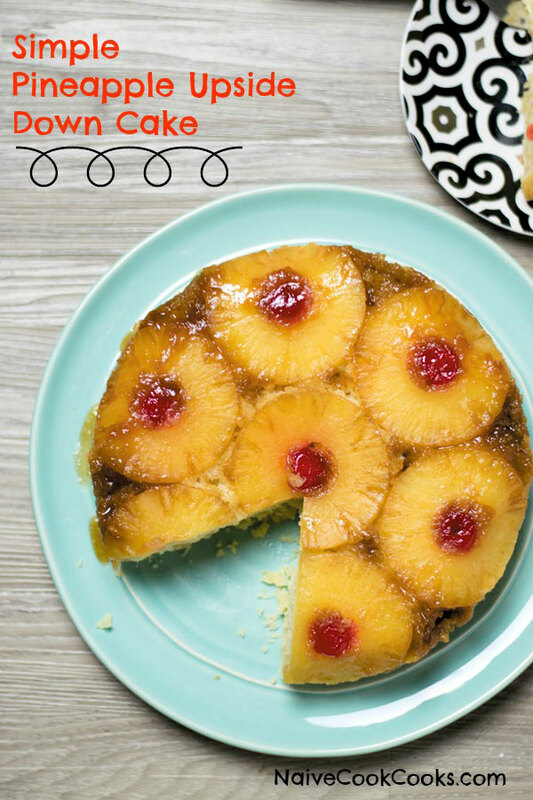 Lately I have been getting interested in learning classic recipes and after perfecting my Vanilla Cupcakes & Chocolate Cupcakes, it was about time I learnt my all time favorite dessert – a very Simple Pineapple Upside Down Cake. When I started thinking about baking this beauty, I was not sure how the whole process will go but then I realised that in the initial phases of blogging, I had already tried my hands baking an Apple Upside Down Cake and that reminded me how good it was! So I let go of my inhibitions and made my first ever pineapple upside down cake last night and it turned out good but my taste tester suggested that it needed little extra moistness. So I baked another one today and it turned out DIVINE. I immediately made myself a big cup of coffee and enjoyed a giant slice of this cake! So darn tasty! What do you like doing on weekends?! Lately I have been baking on weekends and as a bonus I get to eat dessert all throughout the week! To make things super simple, I clicked step by step pictures so you know you have no excuse to not make this because SERIOUSLY just look at this!! You need this! 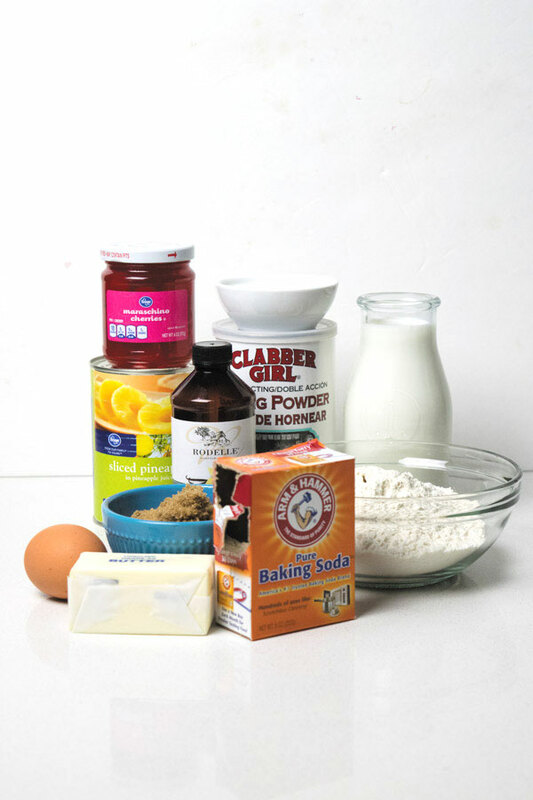 Here is a picture of almost all the ingredients used in making this cake! I used a 9″ diameter by 3″ deep pan. First I add melted butter & sugar mix in the bottom of the pan and spread it evenly. 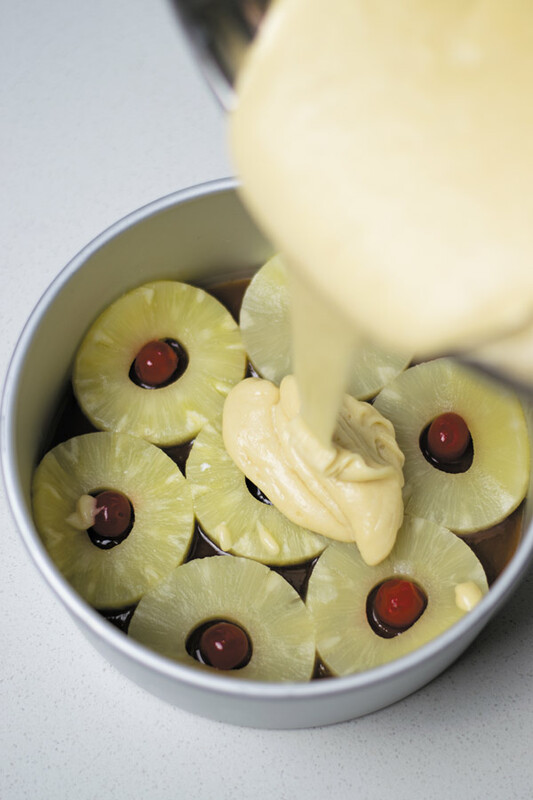 Then layer pineapple slices & cherries on top of sugar-butter mix. Keep this aside. 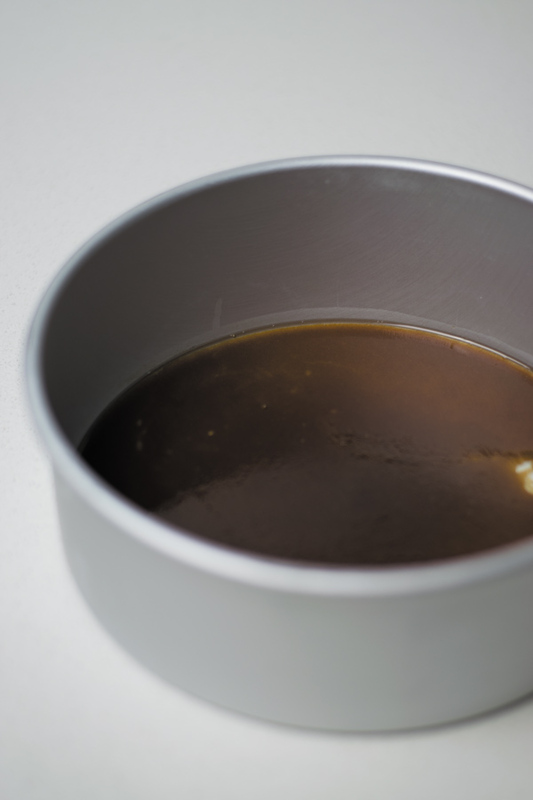 Beat melted butter, oil and sugar until mixed. 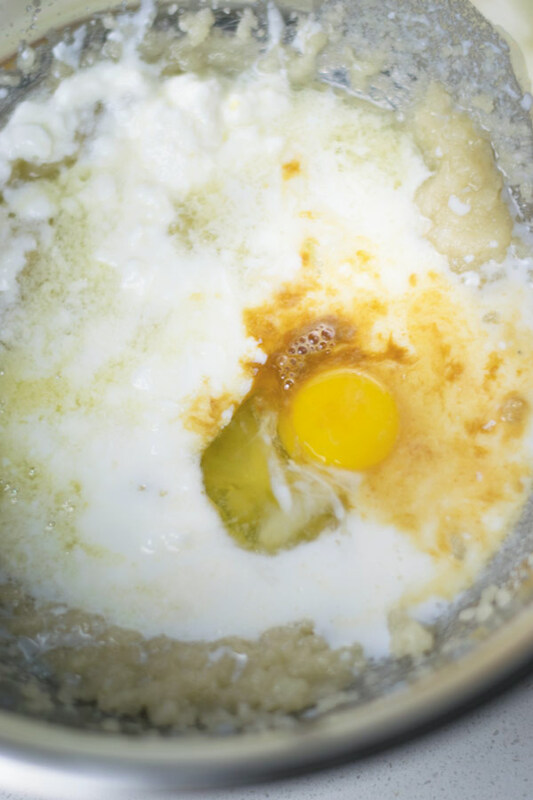 The mixture will be coarse and grainy. 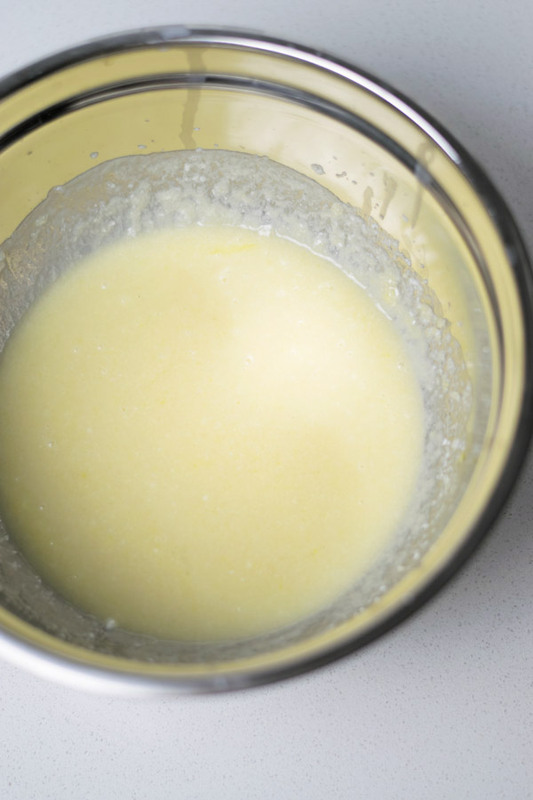 Add egg, yogurt, milk, reduced pineapple juice and vanilla extract and beat until smooth. Now add the dry ingredients. 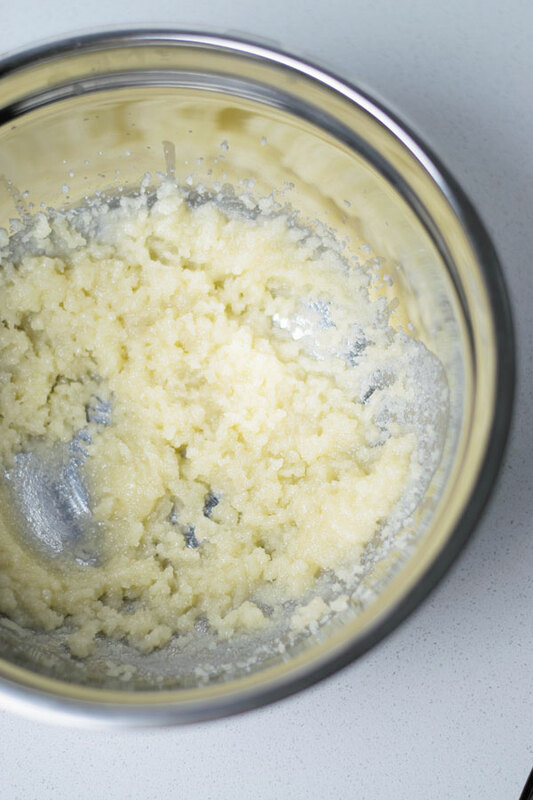 Beat until you have a smooth thick batter. Gently pour this batter over the already arranged fruit pieces in baking pan. Level it out and it is ready to be baked! Bake for 20 minutes uncovered at 350F and then cover with an aluminium foil for the rest of the 24-26 minutes. Once done, let it cool in the pan for 10-20 minutes before pulling it out. In a pot, melt butter & brown sugar for bottom layer. Add it in the pan and make sure to spread it evenly. Now use some more melted butter and butter the sides of the pan. 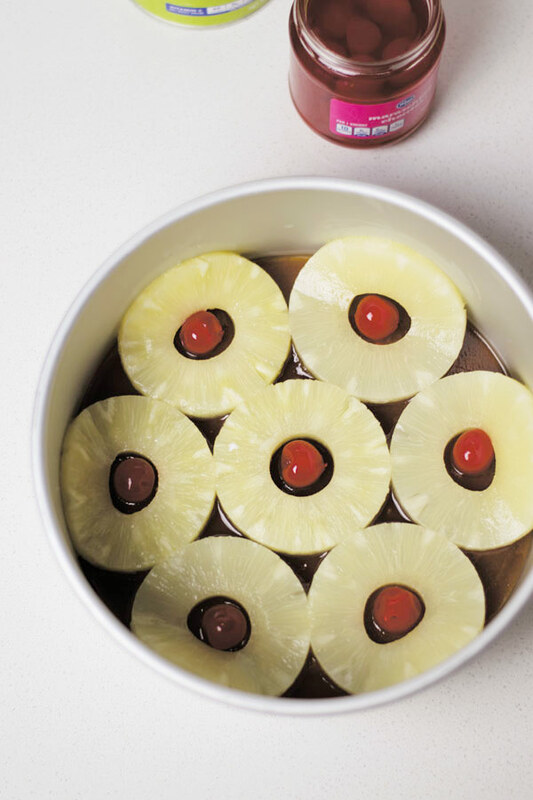 Now layer pineapple slices and cherries. Keep it aside. 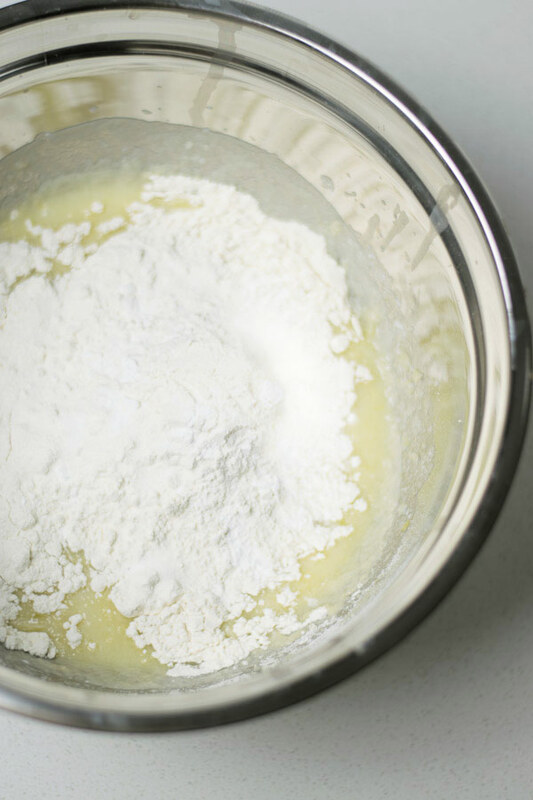 Now add salt, flour, baking soda & baking powder and mix until smooth. Pour this batter over the fruit layer in baking pan and bake at 350F for 20 mins. At 20 minutes, cover the pan with aluminium foil and bake for another 24-26 minutes or until a toothpick inserted in the center comes out clean! Let it cool for 10-20 minutes in the baking pan on your counter. Run a knife around the cake edges so it comes out smoothly. Place a plate over it and flip it at once to transfer it to a plate. My first time I had it all come out with every single pineapple piece intact but second time the center pineapple piece got stuck to the pan after I pulled out the cake. So don't fret, just take it out and place it over the cake! No one will ever know! This recipe adapted from my VANILLA CUPCAKES RECIPE & Pineapple Upside Down Cake recipe by Food Network. This is not a simple cake, this is a gorgeous cake 🙂 . I have been eating and baking this cake since as long as I can remember, one the most beautiful cakes which need no frosting. Your cake came out just perfect! 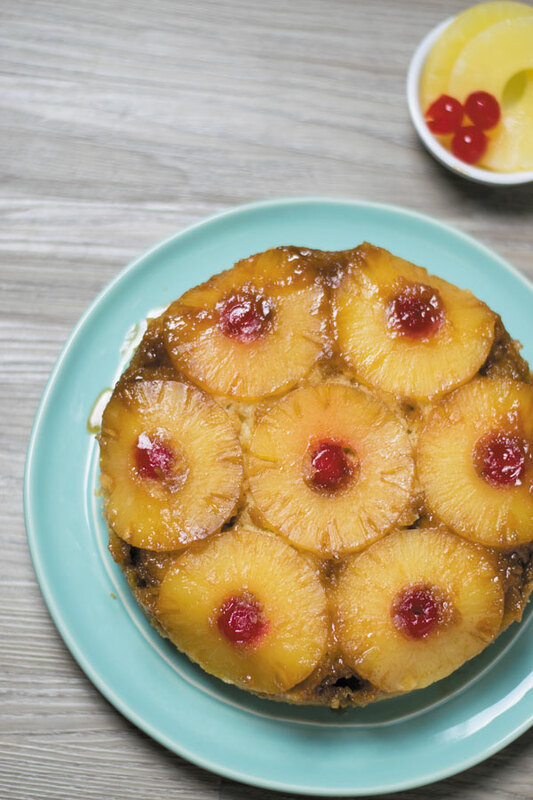 Pineapple upside down cake is such a great classic!! I love how moist it always is. Yours looks so yummy! Hi pls let me know eggless version of this wanted to make this for long time but eg replacer if any can u suggest?